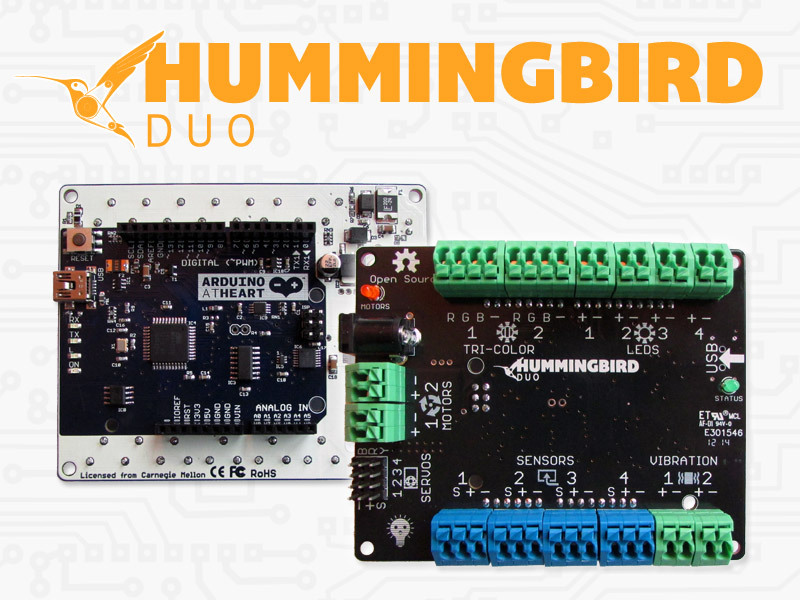 Today we want to introduce you to a new Arduino at Heart Partner launching on Kickstarter this week: Hummingbird Duo is an electronics kit designed to be fun and educational for a fourth grader, a high school student, a college engineering student, or an adult maker. We have designed several levels of learning into the Hummingbird experience. Instead of a steep learning curve, learners go up a staircase where each step increases skills and where mastering each step allows one to use the Hummingbird in a new and more interesting way. 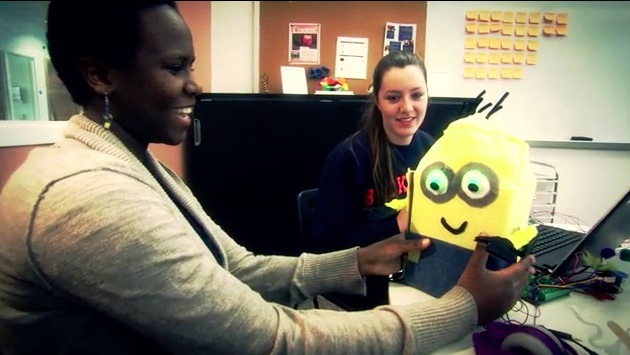 The kit was developed by BirdBrain Technologies, a Pittsburgh, PA firm founded by Tom Lauwers in 2010 to commercialize educational technology developed by the Carnegie Mellon Robotics Institute’s CREATE lab and since 2012, they have pledged 1% of their net profits to the Computer Science Teacher’s Association.